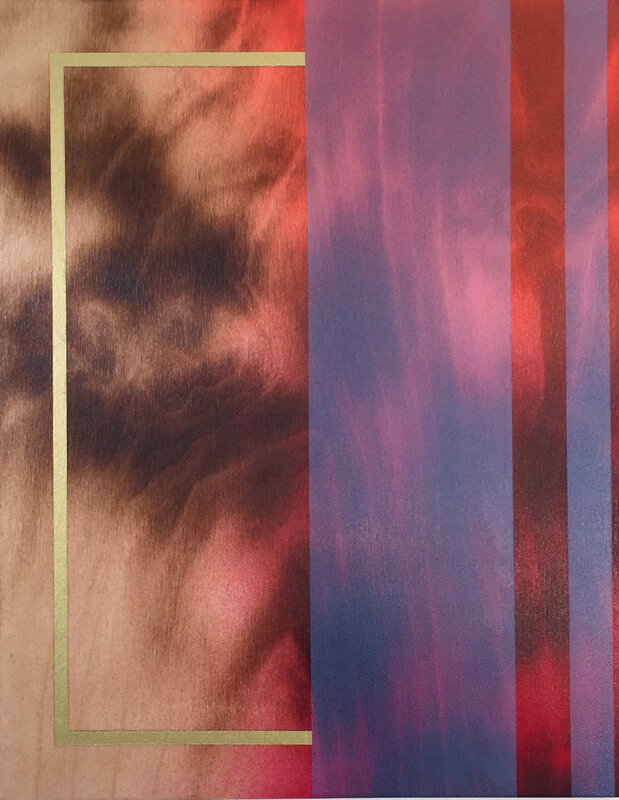 This series explores the assimilation of aerosol painting, pyrography and sanding techniques on wood. 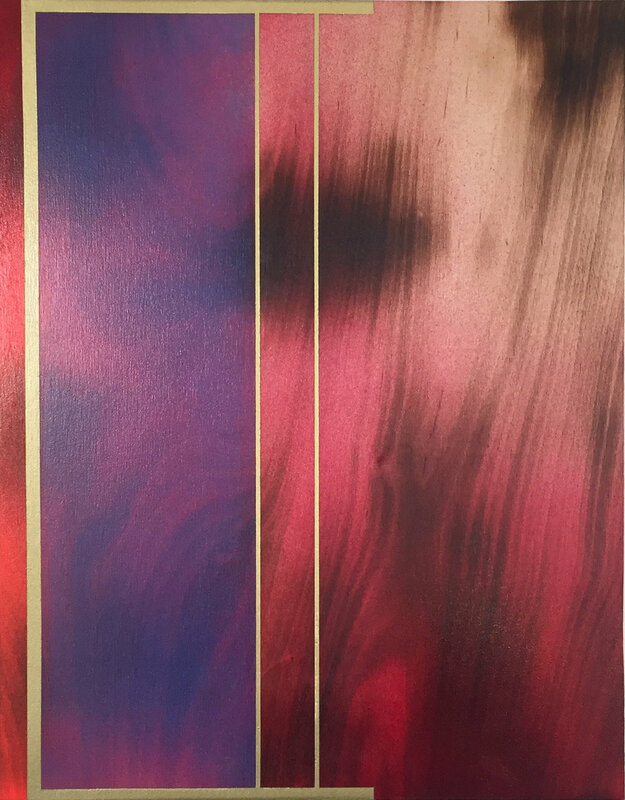 Acrylic, aerosol paint on wood panels. Each piece is lightly varnished with clean natural wood edges.